Jacqueline Woodson's National Book Award and Newbery Honor winner, now available in paperback with 6 all new poems. Raised in South Carolina and New York, Woodson always felt halfway home in each place. In vivid poems, she shares what it was like to grow up as an African American in the 1960s and 1970s, living with the remnants of Jim Crow and her growing awareness of the Civil Rights movement. Touching and powerful, each poem is both accessible and emotionally charged, each line a glimpse into a child s soul as she searches for her place in the world. Woodson s eloquent poetry also reflects the joy of finding her voice through writing stories, despite the fact that she struggled with reading as a child. Her love of stories inspired her and stayed with her, creating the first sparks of the gifted writer she was to become. 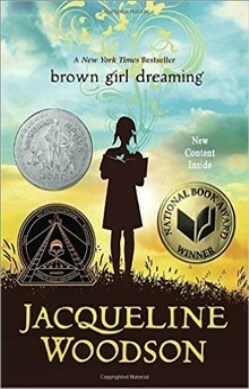 Praise for Jacqueline Woodson: Ms. Woodson writes with a sure understanding of the thoughts of young people, offering a poetic, eloquent narrative that is not simply a story . . . but a mature exploration of grown-up issues and self-discovery.